The WSJ chroniclesBantle’s work from the 1960s through the 1990s, during which time he helped turn snuff into a billion-dollar business and tripled its use among 18-24 year-olds. “If you go to high school in Texas and you don’t have a can of snuff in your pocket, you’re out,” Mr. Bantle told Forbes in 1980. Louis Bantle made dipping snuff into a national pastime. Mr. Bantle, who died Oct. 10 at age 81 after a long struggle with lung cancer and emphysema, was chairman of United States Tobacco Co. for two decades beginning in 1973, a period that saw an explosion in snuff’s popularity, particularly among younger users. In the 1970s, sales of the company’s Skoal and Copenhagen tobaccos were relatively small and concentrated in the upper Midwest, where Scandinavian woodcutters had spread the smokeless habit in the 19th century. Mr. Bantle ramped up advertising featuring football and rodeo star Walt Garrison and other rugged athletes. The result was annual revenue that jumped to $1 billion from $100 million in two decades and a vastly larger group of users. About 9% of U.S. adult males between 18 and 24 regularly used smokeless tobacco in 1991, up from about 3% in 1970, according to a 2002 Centers for Disease Control report. Snuff-dipping spread to areas of the country that had never had a market for the product. “If you go to high school in Texas and you don’t have a can of snuff in your pocket, you’re out,” Mr. Bantle told Forbes in 1980. A self-described recovering alcoholic who used Alcoholics Anonymous to conquer his addiction, Mr. Bantle said he was shocked at the brutal treatment of alcoholics he witnessed on a business trip to Russia in 1988. After retiring in 1993, he established the International Institute for Alcohol Education and Training to introduce AA’s 12-step model to Russia. The institute has helped foster other AA groups across Russia—more than 300, according to a 2007 Forbes article. Mr. Bantle donated to other substance-abuse causes and founded an annual pro-am golf tournament in Greenwich, Conn., to fund charities. A graduate of Syracuse University, Mr. Bantle served in the U.S. Marines during the Korean War. In 1962, he joined U.S. Tobacco, where he became marketing director. After he became company head in 1973, U.S. Tobacco partnered with Swedish Tobacco Co. to import Borkum Riff pipe tobacco to the U.S. The successful introduction helped fund a national ad campaign for Copenhagen and Skoal that spurred sales, which grew 20% to 25% annually for a decade. By the late 1980s, U.S. Tobacco held more than 80% of the wet-snuff market; today, under Altria Group Inc., it continues to far outsell its rivals. While shedding some of U.S. Tobacco’s non-smokeless businesses, including pens and dog food, Mr. Bantle expanded into others, such as the Columbia Crest and Chateau Ste. Michelle wineries. In 1985, the company was named to the Fortune 500. Sales gains were temporarily halted after the family of a teenager who died of oral cancer unsuccessfully sued U.S. Tobacco in 1986. Health warnings were mandated for snuff packages the same year. C. Everett Koop, the U.S. Surgeon General at the time, crusaded against smokeless tobacco and sparred with Mr. Bantle. In a memoir, Dr. Koop described him: “Looking like a courtier of Louis XIV, [he] took an antique sterling-silver snuff box out of his pocket and tucked some tobacco between his lower gum and cheek.” More often, though, Mr. Bantle smoked Kools. Smoking was encouraged at a tobacco museum Mr. Bantle created at U.S. Tobacco’s Greenwich headquarters. On exhibit were cigar-store Indians, spittoons, hookahs and a three-foot Meerschaum pipe with a relief carving of Napoleon’s retreat from Moscow. As if the growing number of smoking bans in restaurants, airplanes and other public places isn’t sending a strong enough message, researchers now have the first biological data confirming the health hazards of secondhand smoke. Scientists led by Dr. Ronald Crystal at Weill Cornell Medical College documented changes in genetic activity among nonsmokers triggered by exposure to secondhand cigarette smoke. Public-health bans on smoking have been fueled by strong population-based data that links exposure to secondhand cigarette smoke and a higher incidence of lung diseases such as emphysema and even lung cancer, but do not establish a biological cause for the correlation. Now, for the first time, researchers can point to one possible cause: the passive recipient’s genes are actually being affected. Crystal’s team devised a study in which 121 volunteers — some of whom smoked and some of whom had never smoked — agreed to have samples of their airway cells studied for genetic activity. The subjects also provided urine so the researchers could measure the amount of nicotine and its metabolites, like cotinine, for an objective record of their exposure to cigarette smoke. Airway cells that line the bronchus, from the trachea all the way to the tiny alveoli deep in the lungs, are the first cells that confront cigarette smoke, whether it is inhaled directly from a cigarette or secondhand from the environment. Crystal’s group hypothesized that any deterioration in lung function associated with cancer or chronic obstructive pulmonary disease, including emphysema and bronchitis, in which the lungs lose their ability to take in air, would begin with these cells. And indeed, that’s what he and his team found. The researchers removed airway cells from the volunteers using a bronchoscope and tested all 25,000 identified human genes in them to determine which ones were active — either turned on or off — in response to cigarettes. They narrowed the search to 372 genes that were active among the smokers but not in the cells of the nonsmokers. Based on the level of nicotine in the urine, the scientists also divided the volunteers into three groups: smokers, who showed the highest level of the tobacco metabolites; nonsmokers, who showed none of these compounds and a low-exposure group who fell in between. Comparing the 372 genes among these three groups, they found that the low-exposure group shared 34% of the same active genes with nonsmokers and 11% of the same gene activity with smokers. The low-exposure group included both nonsmokers who have never lit up as well as those who admitted to smoking only occasionally. It’s not clear how permanent these genetic changes are, but previous data suggests that, at least in smokers, some of the alterations may be irreversible. Smokers experience a decline in lung function that is accelerated compared with nonsmokers, and even if they kick the habit, they can never achieve the same level of function as those who never lit up. If the genetic results are confirmed, says Crystal, they may help doctors to identify those whose genetic makeup put them at higher risk of developing lung disease when exposed to cigarettes, and potentially steer them toward drugs that can help them suppress the dangerous effects of nicotine on their cells. Smokeless, flavored tobacco products that look like candy and come in packages shaped like cell phones may be contributing to accidental poisonings in very young children, new research suggests. Nicotine-laced pellets, strips and sticks that dissolve completely in the user’s mouth — dubbed “tobacco candy” by critics — have joined chewing tobacco and snuff to become the second-most common cause of unintentional tobacco ingestion in kids younger than 6. Between 2006 and 2008, nearly 1,800 U.S. youngsters — almost 600 a year —accidentally consumed smokeless tobacco products, according to an analysis of 13,705 tobacco-related reports to the nation’s poison control centers. That’s a fraction of the nearly 3,600 poisonings a year that involved cigarettes and filter tips, but it worries authors of the new study published in the journal Pediatrics. “Novel smokeless tobacco products, including dissolvable, compressed tobacco products … are now of major concern, with their discreet form, candy-like appearance and added flavorings that may be attractive to children,” the authors write. Potential poisonings add to the growing list of worries from those who fear that tobacco makers thwarted by anti-smoking laws are trying to peddle their addictive products to a new generation of users. Tasty flavors and packaging that resembles Tic Tac mints could be a powerful draw to young users, critics say. “Our response has been one of dismay,” said Cathryn Cushing, a spokeswoman for the Oregon Tobacco Prevention & Education Program. Oregon is one of three states, along with Ohio and Indiana, tapped as a test market for Camel Orbs, tobacco pellets that contain mint and other pleasant flavors. Not so, said a spokesman for R.J. Reynolds Tobacco Company, which makes Orbs along with Camel Strips and Camel Sticks. David P. Howard, director of communications, said the firm is only trying to offer an alternative for legal smokers who can’t or don’t want to quit and who prefer to enjoy tobacco use without violating laws or social norms. “They provide adult tobacco consumers options to do it without bothering others,” said Howard, who noted that the products are not only smokeless, but also spit-less and litter-free. The Camel products are packaged in child-resistant packages, sold only to adults 18 and older, and marketed on websites that include strict age verification safeguards, he said. “Adult tobacco consumers should be diligent about keeping tobacco and all nicotine products away from children,” said Howard, who added that other household items, such as vitamins and cosmetics, poison far more children each year. But that doesn’t convince public health officials like Alfred Aleguas Jr., managing director of the Northern Ohio Poison Center and co-author of the Pediatrics study. Even a single Orb, which contains about 1 milligram of nicotine, is enough to sicken a small child, he said, adding that a handful of pellets potentially could be lethal. A 3-year-old in Oregon ingested Orbs last summer, according to the state’s poison center. In Indiana, two toddlers suffered mild poisoning after ingesting “snus,” small packages of flavored smokeless tobacco. “To have this be relatively new on the market and to already have exposure, I think that’s significant,” said Aleguas. Snus is among several products marketed in the past few years by Reynolds and Philip Morris USA as the tobacco makers expanded their smokeless holdings in response to a changing climate. Should tobacco ‘mints’ be allowed to be sold? Cigarette consumption has plummeted in the United States, even as smokeless tobacco consumption has gone up. Howard estimated that cigarette volumes have fallen between 10 percent and 11 percent in recent years, while the smokeless tobacco market has risen between 5 percent and 6 percent. Between 1996 and 2006, the average per-capita number of cigarettes smoked fell from 2,355 a year to 1,650 a year, according to the United States Department of Agriculture. During that same period, consumption of snuff rose from .31 pounds to .38 pounds a year. 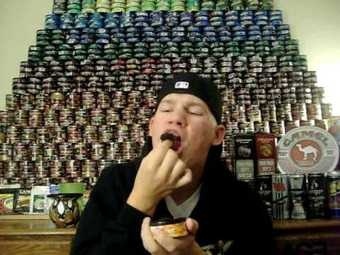 Critics charge that attracting young users through more palatable smokeless tobacco products is the goal of the new marketing efforts. In the U.S., 13.4 percent of high school boys and 2.3 percent of high school girls use smokeless tobacco, according to the Campaign for Tobacco-Free Kids, based in Washington, D.C.
Slick advertisements for Camel Orbs, Camel Sticks and Camel Strips appear to directly target high school students and pre-teens said Terry E. Pechacek, associate director for Science in the Office on Smoking and Health at the Centers for Disease Control and Prevention in Atlanta. Howard denied that the tobacco firm targets young users. At issue, of course, is the health harm from tobacco use. Because there’s no burning, the risk of lung cancer may be lower with smokeless products, but the products are linked to oral cancers, gum disease, nicotine addiction and heart disease. Even the Camel site carries a bold reminder that the dissolvable products can cause mouth cancer. Another worry, Pechacek said, is that two-thirds of young smokeless tobacco users are increasingly combining the products with cigarettes, and more than half of users aged 12 to 17 are using both. “The real potential is that those types of dual users, if they maintain that pattern, may have lifelong risks very similar to smokers,” he said. 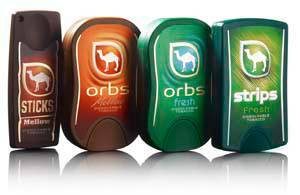 The new products didn’t sit well with Ohio Sen. Sherrod Brown and Oregon Sen. Jeff Merkley, who were outraged when Camel Orbs were test-marketed in their states. Together, Brown and Merkley authored an amendment that was included in groundbreaking legislation last year that gave the FDA new power to regulate tobacco products. It put dissolvable tobacco on the inaugural agenda of the Tobacco Products Scientific Advisory Committee, which met for the first time last month. The committee must issue a report on the public health impact of the products within two years, according to the new law. In the meantime, the good news for anti-tobacco groups is that interest in the new smokeless products, which retail for between $4 and $5 a pack, hasn’t set sales on fire. Howard says the company is optimistic about early response, but there are no immediate plans to roll out the product nationwide. “For a tobacco product, it’s been quite slow,” said Tim Cote, vice president of marketing for Plaid Pantry, based in Beaverton, Ore., a grocery chain that first sold Orbs. In a major step toward understanding cancer, one of the biggest problems bedeviling modern medicine, scientists have now cracked the genetic code for two of the most common cancers. This marks just the beginning of an international effort to catalog all the genes that go wrong among the many types of human cancer, the BBC reports. 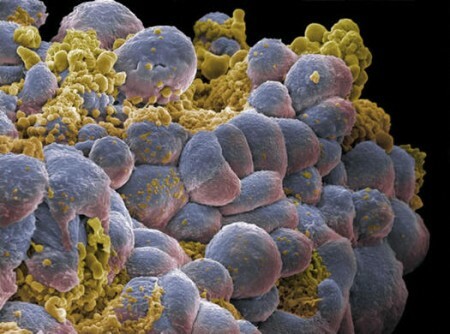 Cracking the Cancer Code A cluster of breast cancer cells, with blue ones marking actively growing cells and yellow marking dying cells. Could scientists crack their code next? Too much time spent under the sun apparently leads to most of the 30,000 mutations contained within the DNA code for melanoma, or skin cancer. Outside experts told the BBC that no previous study has managed to link specific mutations to their causes. Wellcome Trust scientists also found more than 23,000 errors in the lung cancer DNA code, with most caused by cigarette smoke exposure. A typical smoker might get one new mutation, possibly harmless but also possibly a cancer trigger, for every 15 cigarettes that they smoke. The new cancer maps could lead to better blood tests for diagnosing the respective cancers, as well as better targeted drugs. Blood tests might even reveal the DNA patterns that suggest cancer lies on the horizon. The International Cancer Genome Consortium still expects to spend hundreds of thousands of dollars in cracking the code of the many human cancers. The U.S. has the job of studying cancers of the brain, ovary and pancreas, while the UK examines breast cancer. China is tasked with decoding stomach cancer, Japan is focused on liver cancer, and India has taken a crack at mouth cancer. This painstaking research can only help futuristic treatment efforts, such as nanoparticle-targeted lasers and do-it-all nanoparticles that can track, tag and kill cancer cells. But those cancer-resistant mole rats should still count their lucky stars. It was a gentlemen’s protest: Scores of cigar-smokers filed into an upscale steakhouse in Reston on Monday night to light up their stogies over cocktails and beef Wellington and lament that the smoking police had finally come to, of all places, Virginia. Four hundred years after John Rolfe planted the nation’s first commercial tobacco in Virginia, and decades after state leaders paid homage to the crop by carving its leaves into the ceiling of the old state Senate chamber, smoking officially becomes illegal Tuesday in the state’s 17,500 bars and restaurants. Although the suit-and-tie crowd at Morton’s exuded a sort of “Mad Men” cool, it wasn’t entirely hard to see why some might have been glad this day has finally come. A fragrant, heavy haze rose as 150 regulars worked their way through the four cigars included with a meal organized as a last hurrah for Virginia smokers. Morton’s wasn’t the only restaurant marking the occasion with a bit of celebratory nostalgia. At Jimmy’s Old Town Tavern in Herndon, a Camel rep handed out free cigarettes, and customers were treated to an airing of an old Winston TV ad featuring Fred and Barney from “The Flintstones.” Owner Jimmy Cirrito sold off his round glass ashtrays for $3 apiece, with the proceeds to be donated to the American Cancer Society. Under the law, owners may permit smoking on an outdoor patio or in a walled-off, separately ventilated area. Otherwise, they must throw out the ashtrays and put up “No Smoking” signs — or risk a $25 fine. Virginia’s law is in some ways catching up with what has been a reality in much of the state, especially in Northern Virginia, where most restaurants went smoke-free long ago. By February, when the legislature finally passed the ban after years of lobbying by anti-smoking advocates, about 66 percent of restaurants had already gone smoke-free in response to customer demand. A week ago, that proportion was about 75 percent. Still, it is a stunning change for Virginia, where the nation’s first commercial tobacco plant was cultivated in 1612 and where lawmakers and lobbyists representing tobacco interests have long held sway in state politics. Tobacco was the state’s top cash crop for centuries and remained so until 2004. “It wouldn’t be any stretch to say that, aside from Virginia’s people, tobacco was the single most important element in Virginia’s history since English settlement,” said Paul Levengood, president and chief executive of the Virginia Historical Society. Virginia joins the District, Maryland and dozens of cities and states that have adopted similar — and, in some cases, more stringent — restaurant smoking bans. And it won’t be the last. Several places plan to ban smoking in restaurants next year, including North Carolina, where tobacco roots run as deep as in Virginia. Advocates say the bans are an acknowledgment that smoking can lead to cancer, that secondhand smoke threatens restaurant workers’ health and that smoking is not the accepted social norm it once was. In some parts of the state, tobacco still dominates the landscape and the culture. At Wilson Brothers Barbecue in South Hill, a family-style restaurant surrounded by tobacco farms, owner Phyllis Binford said that business has suffered because of the recession and that some of her regulars have said they won’t come by anymore now that they won’t be able to light up. Many nonsmokers, and a good number of smokers, say they are ecstatic about the ban and have their own celebrations planned. Gov. Timothy M. Kaine (D) will be at Chadwicks in Old Town Alexandria on Tuesday afternoon to mark the occasion, and a group of nonsmoking patrons of the Palm, a dining room and bar next to the Ritz-Carlton in Tysons Corner, are hosting a soirée to celebrate the absence of cigar and cigarette smokers in the bar area. At Morton’s on Monday, the smoke was only part of the draw. The mostly male gathering included business executives, federal agents and surgeons who said they socialize over cigars just as others do with alcohol. The event was also a celebration of all things Virginia, including wines from Barboursville Vineyards and cigars from McLean cigarmaker Paul Garmirian. As the waitstaff began distributing plates of bread, General Manager Chris Gerkin made a few remarks in front of a glowing Christmas tree. “This is it: the last hurrah for smoking in restaurants in Virginia,” he said to a chorus of boos from the crowd. He was followed by the winemaker. “This must have been what it was like on the eve of Prohibition,” he said. Garmirian, dressed in pinstripes, was the last to speak. “Washington has always been a town of smoke-filled rooms where decisions were made,” he said. “Maybe if there are less smoke-filled rooms, there will be less decisions,” he added as the crowd chuckled over their smokes. The festivities were briefly interrupted a short time later when the fumes triggered the fire alarm. It’s a misconception that just because you don’t smoke nicotine, it is less addictive and less dangerous than a cigarette. That’s the fallacy and danger behind a marketing ploy for a new take on a centuries old product, snuff. Snuff products in the center are being marketed toward tweens, teens and college students. 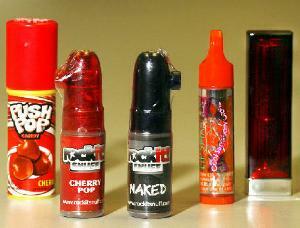 Products such as candy, to the left, and lip balm and lipstick to the right have similar packaging. Whereas the old snuff, popular in the 1970s and 1980s in round paper containers or bags under the name Copenhagen or Skoal, was chewed and spit out, today’s snuff comes in fancy containers with equally avant-garde aromas and names. And unlike its predecessor, this snuff isn’t pinched into one’s gums or chewed, it’s inhaled through the nostrils. And it isn’t being used just by baseball players or teenage boys emulating their sports idols. Snuff is being marketed to tweens, teens and college students, both female and male, as hip, cool and healthy. It’s available for a nominal cost with a simple click online. Yet, it’s anything but harmless, according to an area ear, nose and throat specialist, who is concerned that in any form, nicotine is extremely addictive. And what makes snuff so dangerous is that it doesn’t fall under any federal regulations, according to a local tobacco expert. Many feel it’s the burning and inhaling of tobacco that exposes users to most carcinogens. Some specialists feel that, for health reasons, if you are going to use tobacco, you are better off using nasal snuff. But nasal snuff contains nicotine and is highly addictive, says Dr. Zephron Newmark, an ENT specialist with Geisinger Wyoming Valley Medical Center, Plains Township. Tony Delonti, a member of the local chapter of the American Lung Association who also serves on the Luzerne County Tobacco Free Coalition, said these latest products are outside the realm of the regular tobacco industry. “It’s not a direct tobacco product so it’s not regulated by the Food and Drug Administration and it doesn’t come under the recent tobacco guidelines passed by the Obama administration,” he said. Newmark said that nasal snuff does limit one negative side effect of nicotine, and that is the combustion. Still, he said, despite the absence of tar and gases such as carbon monoxide, oxides of nitrogen and many other toxic combustion products, snuff is still harmful. A bill passed in June called the Family Smoking Prevention and Tobacco Control Act allows the FDA to ban candy flavorings in cigarettes and cigars. Tobacco companies also will be required to cover any carton images with large graphic warnings. The regulation specifically targets what the FDA terms “characterizing” flavors of the tobacco or its paper or container, such as strawberry, grape, orange, clove, cinnamon, pineapple, vanilla, coconut, licorice, cocoa, chocolate, cherry and coffee. However, some flavorings, like menthol, are permitted. The law doesn’t let the FDA ban nicotine or tobacco outright, but the agency will be able to regulate what goes into tobacco products, make public those ingredients and prohibit certain marketing campaigns, especially those geared toward children. Two of the three largest U.S. tobacco companies filed suit against federal authorities in September, claiming the law violates their right to free speech. The threshold of lung cancer from smoking is several years — however, if snuff is, indeed, attracting a younger audience, then elementary school students inhaling the component now could be diagnosed with cancer in their early 20s or 30s, he said. These inhalants could lead to other cancers, most notably of the nose and lungs and even bladder, he said. Even sinus cancer is a possibility, he said, stating that other dangers of nasal snuff remain an unknown. Nasal snuff is a finely ground, flavored tobacco, taken in the non-offensive form of a simple sniff into the nostrils. Snuff began as the tobacco choice of royalty and the elite in 17th century Europe, before being provided to the masses. Still popular in Europe today, snuff is now gaining popularity in the U.S. The most popular use of snuff is to take just a pinch between your thumb and forefinger and sniff it lightly into the nose. This provides a pleasant aroma, lasting 15 to 20 minutes, as well as a noticeable nicotine lift. Apart from flavors, dry snuff also comes in a range of textures and moisture levels, from very fine to coarse, and from toast (very dry) to very moist. Often drier snuffs are ground finer. The aromas/flavors are appealing, ranging from fruity favorites like raspberry, cherry and blueberry to drinks like brandy maple, whiskey and honey, bourbon, cola champagne and wine and cheese to the unusual like violet and sandalwood. The snuff comes in unique and easy to conceal tins and containers, such as glass and plastic vials and wooden boxes. The product reportedly provides an energy boost as some contain guarana, an herb, and glucose, as well as mints like spearmint and peppermint. Proponents say that smokeless tobacco is 98 percent safer than cigarette smoking. Others say it provides some nicotine for those hoping to kick the smoking habit. That is why 1/3 of smokeless users in the U.S. today are former smokers, according to the Centers for Disease Control and Prevention. According to the CDC, 46 million Americans smoke, and 419,000 of them die annually from smoking-related illnesses such as heart and circulatory diseases, lung cancer and emphysema. Smokers live an average of eight years less than do nonsmokers. The New England Journal of Medicine reports that smokeless tobacco users are four times more likely to develop oral cancer than are nonusers of tobacco. Just how addictive and seductive is cigarette smoking and a nicotine habit to area youth? According to a 2007 survey by Steps To A HealthierPA Luzerne County, more than half of the teens surveyed (52 percent) reported trying a cigarette. About 12 percent indicated that they had smoked their first cigarette before the age of 13. About 22 percent smoked during the past month with about 7 percent saying they smoked at school. Approximately 14 percent said they smoked 20 or more days in the past month. More than half of the respondents (53 percent) also said they had tried to quite the habit during the past year. Still, the doctor said it is important that parents are made aware of the fact that a product as dangerous as snuff is so readily available to their children online and in the school yard. Delonti urges concerned parents to contact their congressmen to try and get the products regulated. “There is a chanced that federal legislation could create some action since the products are basically targeted for sale on the Internet,” he said. Richmond-based Altria Group Inc., parent company of the nation’s largest tobacco company, Philip Morris USA, supported the bill, saying it backs tough but fair regulation. Altria’s chief rivals — No. 2 Reynolds American Inc., parent company of R.J. Reynolds, and No. 3 Lorillard, both based in North Carolina — opposed the bill, saying FDA restrictions on new products would lock in Altria’s share of the market. When a cancer patient is facing a steep, painful decline, the high cost of drugs may seem worth every penny. But some cancer specialists are starting to wonder about the cost-effectiveness of some treatments and are raising pointed questions about Eli Lilly and Co.’s newest cancer drug, Erbitux. Treating a lung-cancer patient with Erbitux costs $80,000 for an 11-week regimen, according to a study published in the June issue of the Journal of the National Cancer Institute. Yet such treatment prolongs survival by 1.2 months, the study found. “Many Americans would not regard a 1.2-month survival advantage as significant progress,” wrote the authors, Tito Fojo, an oncologist with the National Cancer Institute, and Christine Grady, a bioethicist at theNational Institutes of Health . The study’s findings raise the question: How can the U.S. control ever-growing health costs, particularly at the end of life? When Lilly announced its acquisition of Erbitux last year, the drug maker said it planned to become “an oncology powerhouse.” The Indianapolis-based company has two other cancer drugs, Gemzar and Alimta, each with sales of more than $1 billion last year. Some cancer specialists say the widespread use of expensive treatments is questionable. “Erbitux, which costs $10,000 a month for treatment, can lead to what might be described as a marginal benefit,” said Dr. Paul Helft, an oncologist at theIndiana University Simon Cancer Center. Some oncologists use various lengths of treatment depending on the patient and the nature of the disease. The issue becomes complicated, Helft said, because some patients respond well with high-priced treatments, while others do not. The study looked at median outcomes. Some cancer survivors say the decision on which treatment to take is a wrenching process. “This situation is most intense when people with cancer who are nearing the end of their lives must decide, in the most personal way, how to calculate the cost-benefit of continuing with treatment and what they value most in the time that remains,” said Ellen Stovall, a 37-year cancer survivor and acting president and chief executive of the National Coalition for Cancer Survivorship. Lilly defended the drug and questioned some of the study’s findings. The company pointed out that Erbitux is not approved to treat lung cancer, the area the study looked at, only colorectal cancer and head and neck cancer. Yet doctors are permitted to prescribe drugs for any condition, and the restrictions apply only to the drug maker’s ability to market the drugs for unapproved uses. And treating lung cancer is one goal that Lilly has for Erbitux. Lilly also questioned the high costs and low survival rates mentioned in the study. According to Lilly, patients with head or neck cancer receiving Erbitux, along with radiation, would prolong survival by 19 months, at a cost of $19,000. For those taking Erbitux alone, the cost would be $27,000 and 5.9 additional months. For colorectal cancer, a course of treatment in advanced stages would cost $18,000 and prolong survival 1.5 months. For those taking Erbitux and chemotherapy, it would be $38,000 and 4.1 months. WellPoint, the Indianapolis-based health insurer, considers Erbitux “medically necessary.” It covers the drug in its affiliated health plans, when used for colorectal, head and neck cancer and non-small-cell lung cancer. A jury on Monday, August 24th, recommended that cigarette maker Philip Morris USA should pay $13.8 million in punitive damages to the daughter of a longtime smoker who died of lung cancer, according to a report by the Associated Press. The panel voted 9 to 3 in favor of Bullock’s daughter Jodie Bullock, who is now the plaintiff in the case. 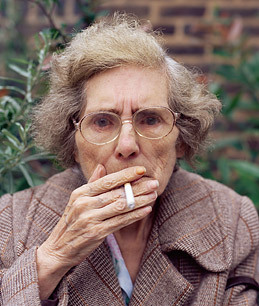 Betty Bullock died of lung cancer in February 2003. She had sued Philip Morris in April 2001, accusing the company of fraud and product liability. A jury in 2002 recommended Philip Morris pay a record $28 billion in punitive damages to Bullock, but a judge later reduced the award to $28 million. In 2008, the 2nd District Court of Appeal reversed the jury’s decision and remanded the case for a new trial over the punitive damages. Philip Morris said the $28 million remained excessive; however, the original jury recommended the tobacco company pay Bullock $750,000 in damages and $100,000 for pain and suffering, a verdict that still stands. Defense attorney Frank P. Kelly said outside of court that Philip Morris has not decided yet whether to appeal the decision. Betty Bullock, 64, of Newport Beach, Calif., started smoking Marlboros when she was 17 and later turned to Benson & Hedges, both Philip Morris products. Attorneys for Philip Morris argued Betty Bullock could have stopped smoking at anytime, and the harmful effects of cigarettes were known to smokers. Jurors said the figure they reached was a compromise, with some arguing that Philip Morris should not pay anything, while others believed the cigarette maker should pay billions of dollars in damages. Jury Awards $13.8 Million in Damages to Smoker’s Daughter PM USA says award is “unwarranted,” “unconstitutionally excessive”Convenience Store/Petroleum (CSP) Daily News, 8/27/2009. WASHINGTON – The statistic is shocking: Severe malnutrition and weight loss play a role in at least one in five cancer deaths. Yet nutrition too often is an afterthought until someone’s already in trouble. Don’t underestimate the added temptation should the result resemble Bon Appetit: “The visual hardiness, and the actual heartiness, of these foods has to be understood for them to embrace it,” Shoop insists. Tempting the palate is a huge hurdle: At diagnosis, up to a quarter of patients already have their appetite sapped, and most treatments can bring side effects that worsen the problem. Aside from the well-known nausea, vomiting and diarrhea, some cancers inhibit absorption of the nutrients patients force down. Not to mention strangely altered taste, mouth sores, dry mouth, difficulty swallowing and constipation. About half of all cancer patients eventually suffer serious weight loss and malnutrition, a wasting syndrome called cachexia where they don’t just lose excess fat but vital muscle. A healthy person’s body adjusts when it doesn’t get enough calories, slowing metabolism to conserve nutrients. A cancer patient’s body doesn’t make that adjustment; metabolism even may speed up. The National Cancer Institute estimates cachexia is the immediate cause of death for at least 20 percent of cancer patients, although advanced cancer might have eventually claimed many of them. How much weight loss is too much? The institute defines patients as at-risk when they’ve lost more than 10 percent of their usual weight. Other research suggests that patients who lose more than 5 percent of their pre-cancer weight have a worse prognosis than people who can hang onto the pounds. For their best shot at doing that, the American Cancer Society urges patients to ask to be assessed by a registered dietitian up front, right at diagnosis. While that’s common at designated cancer centers where dietitians work on-staff, it’s not routine elsewhere and surveys suggest just a third of patients have access to cancer nutritionists where they’re being treated. “Patients who are well-nourished as they’re going through treatment have shorter hospital stays, are better able to tolerate treatment,” not to mention have better quality of life, says Colleen Doyle, nutrition chief at the society, which offers nutrition advice through its hot line at 1-800-ACS-2345. Desperate patients often hunt their own nutrition advice on the Internet but can’t tell the good from the bad. The No. 1 Web-perpetuated myth: that sugar feeds tumor cells. Not true, says Maureen Huhmann, who chairs the American Dietetic Association’s oncology nutrition group. In fact, protein-packed milkshakes and smoothies can literally be lifesaving for some patients. Typically, a cancer patient needs as much as twice the protein of a healthy person and about 10 percent more calories. Some tumors bring bigger nutritional threats than others: Gastrointestinal and lung cancers tend to cause more weight loss than breast cancer. Anti-nausea medications developed in the past decade bring relief to many patients, although they’re not always covered by insurance. Among options are a synthetic version of an ingredient from marijuana; cancer experts don’t promote smoking marijuana although some advocates claim it helps. Doctors also can prescribe appetite stimulants and, for worst cases, feeding tubes. But eating by mouth is best, and dietitians can offer tips to help: Snacking throughout the day instead of trying to force down large meals can help, and high-fat or high-fiber foods make nausea last longer. In his Philadelphia hospital cafeteria, Shoop gives taste tests to introduce patients to healthful foods they may never have tried: Quinoa, a grain with the same amino acids of meat, or Arctic char, a salmon-like fish but less fatty. Doing his own butchering allows Shoop to make stocks and sauces with the bones to add even more protein to meat dishes. Garnish with mushrooms, he advises, for a bit more. And he teaches caregivers how to add 400 extra calories and 20 grams of protein to a simple smoothie, milkshake or oatmeal — using whole milk or yogurt, some protein powder, and grinding up fruits, nuts and flax seed. Eli Lilly & Co.’s tumor-fighter Erbitux doesn’t prolong lung cancer patients’ lives enough to justify its $80,000 cost, U.S. scientists said in commentary published today. Erbitux added to other cancer drugs extends survival about 1.2 months more than chemotherapy alone, making the price too high for a “marginal benefit,” commentary in the Journal of the National Cancer Institute said. Erbitux, which Lilly markets with Bristol-Myers Squibb Co., generated $1.3 billion last year as treatment approved for other malignancies. The high price of some of the newest cancer medicines are coming under scrutiny as part of an effort by lawmakers and health officials to rein in overall medical costs. President Barack Obama has set aside $1.1 billion in the U.S. economic stimulus bill to study the comparative effectiveness of treatments for cancer and other diseases. “We must avoid the temptation to tell a patient that a new drug is available if there is little evidence that it will work better than established drugs that could be offered at a miniscule fraction of the cost,” wrote the commentators, Tito Fojo with the National Cancer Institute and Christine Grady at the National Institutes of Health. Lilly, of Indianapolis, and marketing partner Bristol- Myers, of New York, withdrew an application to extend the Erbitux’s use to lung tumors in February after the Food and Drug Administration questioned differences in American and European versions of the treatment. The authors projected that Erbitux costs $80,000 based on a typical course of treatment for lung tumors, 18 weeks. If all 550,000 U.S. patients who die of cancer each year took 12 months of Erbitux, the total cost would be $440 billion, 100 times the annual budget of the National Cancer Institute, the authors said. Bristol-Myers estimated Erbitux’s cost to be lower, at about $10,000 a month, according to company spokesman Brian Henry. The drug is approved to treat head, neck and colon cancer. A Lilly spokeswoman referred questions to Bristol-Myers. “Erbitux isn’t indicated for all cancer patients, nor would all cancer patients for which Erbitux is indicated necessarily receive the medicine for one year,” Henry said in an e-mailed statement. Lilly gained Erbitux in its $6.5 billion purchase of ImClone Systems Inc. last year. German drugmaker Merck KGaA markets Erbitux outside the U.S.
Cancer medicines are the best-selling and fastest-growing group of drugs in the U.S., and sales will surge 12 to 15 percent each year to top $75 billion by 2012, according to IMS Health Inc., a pharmaceutical industry research company in Norwalk, Connecticut. About 220,000 people will be diagnosed with lung cancer in the U.S. this year, and 160,000 will die, according to the National Cancer Institute.